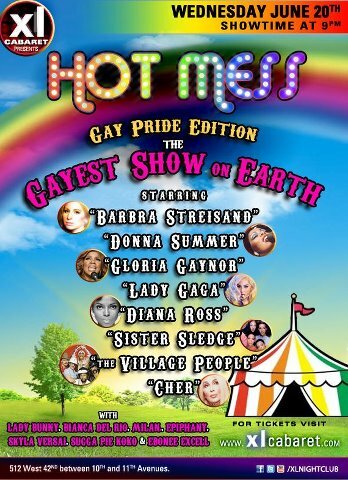 Lady Bunny Blog: SPECIAL GAY PRIDE EDITION OF HOT MESS! SPECIAL GAY PRIDE EDITION OF HOT MESS! GRACE KILLS AT THE JUBILEE! THEY FIT RIGHT IN IN WEST VA! SHARON NEEDLES" NEW AD CAMPAIGN? BREAKING NEWS! NYC IS STILL NYC!